Bag Raiders are a Sydney-based electro duo who scored a breakout hit in Australia in 2007 with “Fun Punch” and an even bigger smash in 2008 with “Shooting Stars”. The duo (Jack Glass and Chris Stracey) has become one of the most sought-after electropop act in Australia and their aural gems have won them the endorsement of Bang Gang 12s, sister label to Modular Recordings. 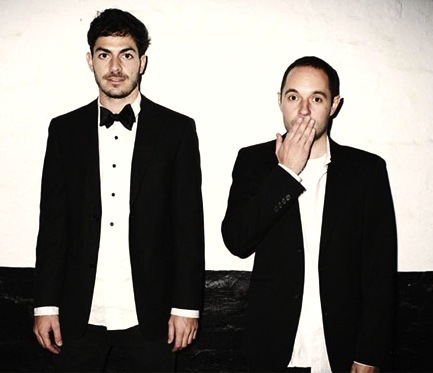 In the past couple of years, they have also been hailed for their remixes of tracks by Cut Copy, Midnight Juggernauts, Sneaky Sound System, Kid Sister and many more. Just like the rest of the album, “Sunlight” is electropop at its best: shiny disco influences, synths that sound like they came straight from the 80s, sing-a-long chorus and great beats… This is a perfect summer anthem (lucky Southern Hemisphere) and its pure dancefloor energy will conquer any crowd in a heartbeat. FYI, the single package, out next February, will include remixes by Armand Van Helden, Tiedye, and Gloves.